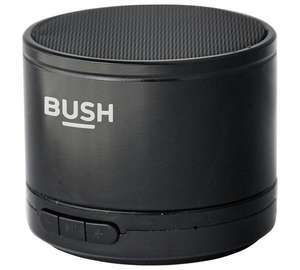 I'm getting one for the wife, I overheard her on the phone, she prefers BUSH! Anker Soundcore mini. Much better than this rubbish. Plenty of Ankers in Argos, especially at Christmas. Any good as it's only 2 watts? Thanks op, bargain, one prezzie sorted. I'm getting one for the wife, I overheard her on the phone, she prefers …I'm getting one for the wife, I overheard her on the phone, she prefers BUSH! I tried to get one for the wife too, but they said 'no deal, can't swap, besides she's been used and has limited resale value'. My kids were a better bet but I still couldn't get an Amazon Dot. Any good as the battery life is only 2 hours?? I've got an Ainol Tablet, I prefer Bush though. So not only is that a real brand, I checked, but their website contains the line "Enjoy life Enjoy Ainol"! You get what you pay for I would spend a bit more to get something worth listening to. So not only is that a real brand, I checked, but their website contains …So not only is that a real brand, I checked, but their website contains the line "Enjoy life Enjoy Ainol"! Who would have thought Bush was a brand. And 7 times the battery life. Probably better sound quality too. Definitely looks a lot better as well. Used the free fiver in email on this. Not bad at all. Didn't realise I wanted or needed one of this until I saw this post so thanks op for another random purchase! Can you buy two of these & configure it/ Bluetooth to use them as stereo, or would it be just two mono? Can you buy two of these & configure it/ Bluetooth to use them as stereo, …Can you buy two of these & configure it/ Bluetooth to use them as stereo, or would it be just two mono? Thanks to the OP for starting the thread & to dz1 for recommending the Anker Soundcore mini which I bought & it is great. As a rule no..as Bluetooth only runs one output at a time... if you can get to a Fop record store I picked up a Gear4 stream 1 for £20 . In London convent garden... they started out at 100... most people still want 40.... These speakers are Bluetooth, WiFi via app and 3.5mm wired... and you can run multi speakers... for £20 . These are good.